Cambridge, Mass. — Dec. 23, 2016, — Last Saturday (Dec. 17) was the one-year anniversary of the passing of China’s renowned Tibetologist Prof. Wang Yao. The inaugural issue of Journal of Tibetan and Himalayan Studies(JTHS), launched earlier this year, was dedicated to Prof. Wang Yao (pictured below). Please visit bostonese.com/journals/jths for detailed info about JTHS. The two Editors-in-Chief of JTHS are Prof. Wang Qilong of Shaanxi Normal University, China and Prof. Leonard W.J. van der Kuijp of Harvard University, USA. This peer-review journal was launched by The Research Center of Foreign Tibetology at Shaanxi Normal University. The Center is aimed for developing into a first-class national research center and a new professional think tank with its academic influence of Tibetan Studies. The ISSN of JTHS is 2469-780X. JTHS is published by Boston Bilingual Media & Publishing Inc. Please contact himalaya11@163.com if you would like to submit a research paper or book review in the field of Tibetology to be published on JTHS. For more info about JTHS, please visit bostonese.com/journals/jths. According to Prof. Wang Qilong, Wang Yao played a pivotal role in sharing Tibetan language and culture with the world. Wang Yao was a pioneer in the field of Tibetology, and an inspiration for generations to follow. Born in Lianshui County in Jiangsu Province, Wang Yao was among the first Chinese to study the Tibetan language since the founding of the People’s Republic of China. During his 60-year career, he made more than ten trips to Tibet in order to get first-hand materials for his research. His area of expertise encompassed Tibetan language, idioms, opera, folk legends, and Buddhism, and his research paved the way for others to follow. 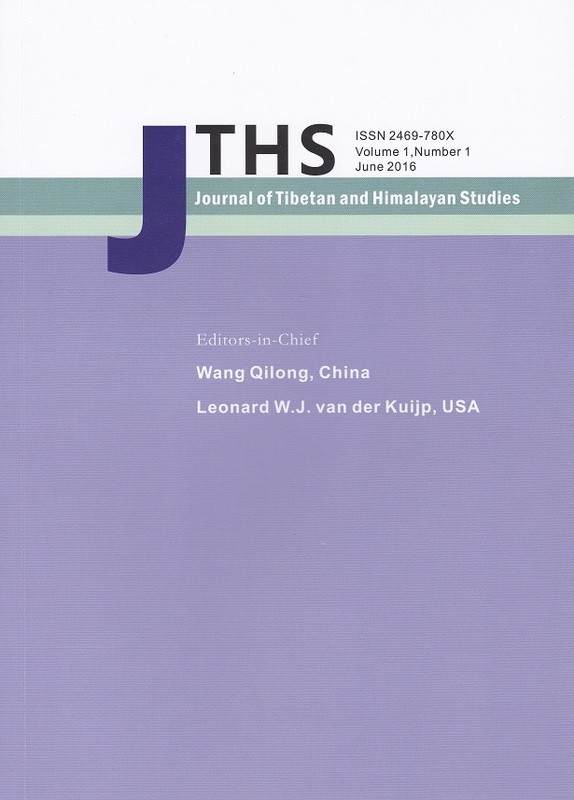 The following is an article by Prof. Wang Qilong on the inaugural issue of JTHS. The lofty Himalayas are majestic, and the Tibetan plateau is of great pureness. Originated from the top of Himalayas and valleys of the Tibetan plateau, the ancient and glorious Tibetan civilization is an essence of the integrative and diverse Chinese culture, and it has always been a civilization which draws the attention of mankind and the international academic community. That is a prevalent fact and a major reason why the world has attached great importance to Tibetology which is indisputably an international subject. However, in old China, the researches on this branch of learning were often done by following others‟ lead. After the founding of new China, especially after the reform and opening up in 1978, prompted by a group of Chinese scholars, eventually the international academic community heard different voices from China. And Professor Wang Yao is the first Chinese scholar who made his voice heard in the international academic community. China‟s Tibetology has experienced tremendous changes in past thirty years, among which the personnel training is one of the most remarkable points. And it is Professor Wang Yao who had made the greatest contribution so far. He had only a small number of in-staff students and numerous off-staff students, but all of them were proud of being his students regardless of their identities. He was definitely a successful man if put in today‟s words. Why was it so? As a student of his, I believe it is because he was not only taught but also educated. He was prudent and knowledgeable in teaching, and he set a role model with his distinguished personalities while educating students. Born in 1928 in Lianshui County, Jiangsu Province, China, Wang Yao graduated from the Department of Chinese Language and Literature at Nanjing University and Tibetan Language Department at Central College for Nationalities [i.e. today‟s Minzu University of China]. He served as the honorary dean and doctoral supervisor of Tibetology Research Institute in Minzu University of China. He was also a member of China Central Institute of Culture and History, the director of the Professional Board of the Ethnic Minorities‟ Language and Writing in China Dunhuang Turpan Association, the supervisor of the Chinese Culture Academy, a member of the Advisory Committee for China Tibetology, and the editorial board member of the special issue journal – The History of Tibetan Literature at University of Bonn. Besides, he was also an honorary professor in some top universities like Peking University and Tsinghua University, as well as in Foreign Tibetology Research Center of Shaanxi Normal University. He passed away on Dec. 17, 2015 at the age of 87. In the freezing morning of Dec. 23, many people from all walks of life in Beijing took part in his memorial service. Of the participants, some were his old friends in their 80s, some were young students, and some were social celebrities, and so on. In addition, both Zhu Rongji 朱镕基 and Wen Jiabao 温家宝, the former premiers of the State Council called for condolences and sent a wreath respectively. The current premier Li Keqiang 李克强 and deputy premier Zhang Gaoli 张高丽, State Councillor Yang Jing 杨晶 and Vice Chairman of the CPPCC Wang Zhengwei 王正伟 sent wreaths to pay their condolences. Prof. Wang was so influential that leaders of China felt the big loss. The departure of Wang Yao left us endless grief and yearning, and the most valuable way for us to commemorate him is to carefully summarize study and carry on his excellent spiritual heritage. This article is a brief review of his academic career and life to express our yearning for him, thus to inspire the later generations to step forward along his track, and enlighten the development of Tibetan studies in China. As a renowned scholar, Wang Yao in daily life was not flawless, but he was the most real one. His imperfection was revealed in his dependence in daily life. Luckily, God sent him an amiable and gentle wife – Xue Shimu, Renheng to accompany him a whole lifetime. Xue Shimu (薛师母, i.e. Mrs. Wang) took very good care of him so that no matter how hard the life was, he still had a peaceful and warm life. All that provided Wang‟s academic research a strong support. Conversely, the love and concern Wang had for his families could be “with all his heart, but never speak out”! We think he was not only a famous scholar but a great husband, father and grandpa. He was family-oriented, and sent his children to Europe to lead a prospective life. I remembered very clearly that he had a granddaughter who belongs to his second son. The little girl is only one day younger than my son. Back in the 1990s when my wife Deng Xiaoyong and I studied for the graduate degrees in Minzu University of China, his granddaughter and my kid were in the same kindergarten. No matter in which season, windy or rainy, he would always ride or walked his bike to pick up his granddaughter. Sometimes we would take over his work to pick up these two kids. And we had meals at Prof. Wang‟s home for many times. Three generations of us had meal happily over the table just like a family. Xue Shimu cooked so well that I still remember the taste of the food. Prof. Wang finally lost his life dependence and spiritual support after Xue Shimu passed away, and his grief touched people around him. Every time we paid visit to him during the Chinese New Year and other holidays, he always talked about his wife with eyes full of tears, even we could feel the sadness of him. Prof. Wang was never a pessimist; he never lost his faith for life and his sacred academic career even when he suffered incessant humiliations during the Culture Revolution (1966-1976). According to him, he squeezed time for reading history books of Dunhuang and Tubo all the time while he did labor training in the corn field. So, it‟s reasonable that he could quickly stand head and shoulders above the rest after the Culture Revolution ended. Prof. Wang was an upright man who had explicit attitude toward right and wrong, and never went out of his way to curry favor. And we can see that from the following telegram delivered by Mr. Li Fanwen, a famous expert in Tanggutology. I was astounded and grieved at the death of Prof. Wang Yao who was my good teacher and helpful friend! I paid a special visit to my respected teacher Professor Yu Daoquan于道泉 and my good friend Professor Wang Yao when I came back to my Alma Mata for the first time after my days in the May 7th Cadre School五七干校 were ended. It was Wang who introduced the Tangutology scholars and books at home and abroad to me then in spite of the political atmosphere and pressure. According to his instructions, I started my academic survey along the itinerary of the Tangut northern migration and went through Gansu, Qinghai and Sichuan Province to inquire the later generations of the Tangut State, and read the relevant literature from China, Russia, Japan, and France as well. He had supported and cared about me since the 1950s. When I was framed after I got the Prix Stanislalas Julien Award, it was Wang who was filled with righteous indignation and defended me by writing me the proof materials in spite of his illness. He respected his teachers and inspired his students. And he is determined and studious. He is a real model in Tibetology education and personnel training. His death is our loss in that we lost a great master both at home and abroad. I earnestly hope Professor Wang Qilong can express my condolences to Prof. Wang‟s family! Prof. Wang was like a father to his students. He not only cared about our school work but also our school life. My wife and I studied for graduate degrees at the time, and my son was in the Kindergarten of Minzu University of China. With time going on, my family of three and Prof. Wang‟s family were just like one big family. The little granddaughter was naughty; and sometimes she imitated our son to call my wife mother. And of course my son called them grandparents. Sometimes my son‟s mouth watered for meat balls made by Xue Shimu. And Xue Shimu would never forget her “grandson”, and she often went to Room 343 in graduate students dormitory with a lunch box filled with hot tasty cuisine for us. She once came in the cold winter to send us a box of lentils meat balls covered with a towel to keep it warm. She said the kid needs nourishment in the time of physical growth which deeply moved us. Many years later, as a professor of Tsinghua University, I was appointed to be the vice president of Tibet University. Some friends in Lhasa who did not know the actual situation would often ask me, “Is your father in good health?” I answered, “He is fine.” “Is he in China now?” I froze a little while, “Of course he is!”(My father is only an ordinary retired cadre who was of the same age with Prof. Wang). And he continued, “Is he writing something recently?” Then I understood. They thought that Prof. Wang was my father. Some people who did not know the actual situation would have such misunderstanding. And I would explain that Prof. Wang was my teacher. Though we were not father and son, we did have the feeling of a father and a son. Actually, Prof. Wang and his wife always treated all students like their own children. If we suffered in misery, he would feel bad and he shall do anything he could to help us. And when we got success, his excitement would show out between the lines. One of the happiest things for him is that professor Shen Weirong and I were chosen to be the Changjiang Scholar Distinguished professors. We could feel his joy. These stories were only from my personal experience. I believe that there would be many more moving and unforgettable memories between my teacher and my fellow apprentices. I would not have made any academic progress without Professor Wang Yao‟s meticulous cultivation. It‟s well known in the academic circle that Prof. Wang attached great importance to firstly developing the Tibetan language proficiency while he teached. Like all the graduates of his, we used a relatively short time to study Basic Tibetan at the beginning when we studied for PhD degree. After finishing the teaching materials, he instructed us to read the Tibetan original literature, such as Mi-la Ras-pavi Rnam-thar (the Biography of Mi-la Ras-pa). He instructed us words by words, sentence by sentence and guided us to appreciate that great literature, as well as understand the grammar and vocabulary problems between lines. We gradually had a perceptual and vivid understanding about Tibetan language with his passionate instruction. He held the opinion that one must learn the ethnic language before he does ethnic study. Tibetan language is the key to Tibetology. You can‟t do ethnic study without learning Tibetan language. And until now I can only read or use Tibetan history materials to do some Tibetan researches with the Tibetan dictionary. We sometimes heard some scholars declare that they have mastered (jingtong) Tibetan language. But I am afraid I can never do so because I even can not say that I have mastered my native Chinese. I used to major in English and study linguistics under the guidance of the famous linguist Prof. Hu Mingyang胡明扬, so I‟ve got some different ideas about language and linguistics. And that helped me so much in the skills and proficiency while I handled with the language materials that satisfied Prof. Wang Yao. In order to make me have a better understanding of the Dunhuang literature, he gave me a half-finished copy of The Bibliograhpy of the Pelliot-Tibetan Documents from Dunhuang1，which was firstly made by Prof. Chen Jian and his former students Chu Junjie, 1A bibliography compiled in Chinese and based on Marchelle Lalou‟s Inventaire des manuscrits tibétains de Touen-houang conservés à la Bibliothèque nationale (Fonds Pelliot-tibétain, in 3 vols. ), Paris, Adrien-Maisonneuve, 1939, 1950, 1961. It was later published by Minzu Publishing House, Beijing, 1999. Wang Weiqiang and Xiong Wenbin, etc., and asked me to reorganize, copy and search for the relevant works published at home and abroad to compile it into a published one. That book was finally published after several setbacks, Chinese titled Facang Dunhuang Zangwen Wenxian Tijie Mulu (法藏敦煌藏文文献题解目录) by Minzu Chubanshe, Beijing, 1999. Although I was just co-editor, I think I benefited a lot from that. It has enlightened me a lot now in reorganizing and studying the Dunhuang Tibetan Documents preserved in the National Library of France. We were asked to read relevant Chinese historical classics except for the Tibetan literature. It‟s said that the former students of Prof. Wang Yao were required to read the relevant contents in Twenty-four Histories (Ershisi Shi二十四史). Those books are classic, stylish and elegant if put in today‟s words. And the requirement for me is much easier, since I mainly studies the Sakya school of Tibetan Buddhism, I read the Yuan Annals (Yuanshi元史) twice with notes taken down. It‟s shameful to say that I only read what I need except for the Yuan Annals , which is a kind of “utilitarianism” for me. Then I directly benefited from that those historical literatures. I read while I wrote papers like “The Political Influence of Tibetan Buddhism on Yuan Dynasty” and “The Economic influence of Tibetan Buddhism on Yuan Dynasty”. After graduation in 1996, I began to teach at Tsinghua University. In about 1998-1999, funded by Tsinghua University, presided by Prof. Zhang Qizhi张岂之, the Series of the Academic History of Chinese Humanities in the 20th Century (Ershi Shiji Zhongguo Renwen Cushueshi Congshu/二十世纪中国人文学术史丛书)was soliciting contributions from all over China. The History of China Tibetology (until 1949) is one of the series co-authored by Prof. Wang Yao, Deng Xiaoyong and I. The subject and structure were examined and approved by Prof. Wang himself, and some contents were revised and composed by him. It‟s fair to say that the idea of this book belongs to Prof. Wang Yao. We just did some detailed job. This book received a great feedback after it was published, and it received third Prize issued by the Ministry of Education for the outstanding achievements in humanities and social science in 2006. Prof. Wang Yao dedicated a lot for this book. However, this book was not in the collection of Professor Wang Yao‟s works published by the China Tibetology Publishing House. As his students, we felt sorry for that. Inspired by Prof. Wang‟s lecture, I decided that I would like to completely retranslate vGo lo-tsa-ba Gzhon-nu-dpal‟s Deb-ther Sngon-po into Chinese again from its Tibetan original some day with necessary conditions in the future. He mentioned that due to the limited time, some improvements are still needed in Mr.
Guo Heqin‟s郭和卿 translated version which was already published in 1985 by Xizang Renmin Publishing House. That was the primary reason why Huan Kejia and I retranslated this book with the funding from the Asia Research Center at Tsinghua University. We translated from the Tibetan original (2 vols.) in stereotyped edition published Sichuan Minzu Publishing House with reference to the Blue Annals, the English version translated by George Nicolas de Roerich(1902-1960). It took us five years to completely retranslate the whole book into Chinese with much more detailed annotation. With the financial aid from the National Planning Office of Philosophy and Social Science, it was finally published in 2010 by China Social Science Press in two volumes. Numerous things Prof. Wang Yao did to help me can hardly be listed out here. He tried his best to support me and the development of Tibetan studies at Shaanxi Normal University after I came to Xi‟an. A few months before his death, he donated all the books left at home to the Foreign Tibetology Research Center of SNNU2 while attending the opening ceremony of the Center. The days in Xi‟an did become his last academic activity. We were privileged to have an unforgettable time with him in Xi‟an. What he did was not only for his students to have something to live by but also to flourish the Tibetology studies in northwest China with his support. All that revealed his great development vision for Tibetology. He hoped there will be many academic centers of Tibetan studies in China. My story mentioned above is just an epitome. It‟s well known that Prof. Wang Yao cared about his students regardless of their identities, at home or abroad. He equally treated everyone who turned to ask and learn Tibetan language from him. He instructed students with passion, and did his best to cultivate and educate them. Most of the famous Tibetologists in China used to study under the guidance of Prof. Wang Yao. Some of them were graduate students of him and many more were his “off-staff” students. They got help from Prof. Wang more or less, thus they all appreciate him deeply. 2In addition, he has already given a great deal of books respectively to Minzu University of China, Fudan University and Renmin University of China, etc. from generation to generation. Only in this way can his good reputation be passed down for long ages. From the aspect of talents cultivation, Prof. Wang Yao can surely merit the reward of educator and the best professor in field of China Tibetology. He used to say humorously while chatting with us, “The most cheerful thing is to teach gifted students”, “I‟m good at teaching others‟ students into mine.” Just like what he talked about, though there are only a few doctoral students he had taught personally, his students are all around the world. They came from home and abroad to seek for learning for Prof. Wang‟s personality and academic characters, and they are proud of being his students. Not long before his death, “old students” and “new students” still came one after another to visit him and ask for guidance. As a teacher, Prof. Wang paid a lot attention to us. As his students, we can‟t be remiss. After he passed away, we must spare no efforts in striving for development and prosperity of China Tibetology. Only in this way can we merit cultivation and this era! We should focus more on Prof. Wang‟s identity as a scholar. His great academic success shed much light on future generations. We should carefully summarize, analyze, study and inherit his academic and spirit legacy. He had a distinct observation, systematic thinking and rational understanding on Tibetan culture. His academic career lasts over half a century, by combining field work and teaching practice with his academic thinking. He wrote more than ten monographs and hundreds of papers, as well as edited several series on Tibetology. He also made outstanding achievements in these fields like Tibetan dialect division, the organization and translation of the old Tibetan literature, the mutual cultural communication between the Tibet and the Inner China, Tibetan Buddhism, and Tibetan folk culture. It was he who firstly introduced the three Tibetan literatures (Dunhuang Tibetan documents, Tibetan bamboo scripts, Tibetan inscriptions) into the historical researches, which promoted the studies on history of both Tibet and Central Asia. He was also the first Chinese Tibetologist engaged in the international stage since 1980s. And he is the only well-known Chinese Tibetologist who had participated in the 3rd to 10th Conferences of the International Association of Tibetan Studies. He received the prize of honor of Mount Everst China Tibetology Award. Prof. Wang Yao considered the Tibetan language to be a necessary key to Tibetan studies. That is also a consistent requirement of Mr. Yu Daoquan had for his students. So his outstanding competence on Tibetan language not only met the requirement of his teacher but also set models for later scholars in China. His academic career on Tibetology started from his learning Tibetan language and Tibetan Buddhism. During the years 1956-58, he published many excellent works including articles such “Zangyu de Shengdiao” (藏语的声调 [the Tone of Tibetan Language], 1956), “Zangyu Shuci zhong de „Dianyin‟ ” (藏语数词中的“垫音”, 1958), and the book Xizang Sajia Geyan Xuan (西藏萨迦格言选Selections of Tibetan Proverbs by Saskya Pandita, 1958, 1981, 2011). In 1960s, according to Prof. Wang3, Minzu University of China held two Tibetan language classes. For the needs of his work, Wang started to explore the development of ancient Tibetan language focusing on the Tubo period (before 11th century). There were three credible literature works: the first one is Tibetan documents from Dunhuang caves, the second is the Inscriptions of Tubo period, and the third one is the writing on the bamboo scripts unearthed from Qinghai and Xinjiang. His representative works are three books titled Dunhuangben Tubo Lish Wenshu (敦煌本吐蕃历史文书, co-authored with Chen Jian, 1980, 1992)4, Tubo Jinshi Lu (吐蕃金石录,1982) and Tobu Jiandu Zonglu (吐蕃简牍综录, co-authored with Chen Jian,1986), which formed a set of Tubo (Ancient Tibet) historical literature. In the meanwhile, he published the article “the Introduction to Tubo Historical Literature” which gives a general review of the characteristics of the ancient Tibetan language and its historical literature. Based upon the works mentioned above and the achievements of colleagues at home and abroad, Wang Yao divided the development of the Tibetan language into five periods: 1.Ancient times or aboriginal period (before 6th century); 2.Medieval times or Tubo period (the 7th Centuiry-the 10th Century); 3.Ancient times closest to the present times (the10th Century-13th century); 4.Modern times (from the 13th century when Tibet formally became a part of Yuan China to the end of 19th century); 5.The contemporary period (since 20th century). That is one of his statements. 3Wang Yao, “Wo yu Zangxue” (Tibetology and I), in vol.5 of Wang Yao Zangxue Wenji (Collections of Wang Yao‟s Works on Tibetology), Beijing: China Tibetology Publishing House. Things relevant to Prof. Wang Yao‟s academic researches described in this piece of writing mainly refer to this essay. 4According to Prof. Wang, while translating the book, they used to refer to Mr. Ma Yong‟s马雍translationfrom the French original. Besides, with the proposal of Prof. Wang Qingshan王青山, the Tibetan original and Prof. Wang Yao‟s translation were printed out for relevant scholars to consult in 1979before itsformal publication. And that is the earliest version. In the subject of studying Tibetan language, Wang Yao only wrote a few papers, but they all impressed the academic circle. For example, in the “Zangyu mig (mu) Zi Gudu Kao” (On the Ancient Tibetan Word mig[目]) published in Minzu Yuwen民族语文in 1984, Wang Yao holds that rGyal-rongDialect retains the most features of the ancient Tibetan, Amdo Tibetan keeps some, Khams Tibetan retains fewer, while the Central Tibetan (Lhasa dialect) has developed the most rapidly and is now far different from the old Tibetan language. But the last one is just the trend and direction of the development of Tibetan language. More importantly, his works on the Dunhuang Tibetan documents had greatly prompted the academic development of studies on Tibetan history, religion, Tang Dynasty history, and Dunhuang manuscripts as well. They did bring new vigor and perspective to those fields. It‟s incomplete for a Tibetologist if he has not learned some knowledge of Tibetan Buddhism. Prof. Wang got the true ideas and thought from Master Gangs-dkar(1893-1957), and was educated in the temple for a long time. It means that he not only received cultural education but also religion education from the Master. He was different from those common scholars in Tibetan Buddhism for his different perspective and experience. He used to instruct students to read the Mi-la Ras-pavi Rnam-thar, just like Master Gangs-dkar had them read this very literature work when they were learning Tibetan before. Prof. Wang Yao was not only the youngest teacher but also an important organizer of the two Tibetan language classes. He was asked to invite some teachers and masters to give lectures for the students. Mr. Zhou Shujia周叔迦 gave the lecture of “Zhongguo Fojiao de Shi Zong”(Ten Schools of Chinese Buddhism). The lectures Master Fazun法尊 had given were “Xizang Fojiao de Qianhongqi” (the Earlier Period of Tibetan Buddhism Spreading) and “Xizang Fojiao de Honghongqi” (the Later Period of Tibetan Buddhism Spreading). Mr. Gao Guanru高观如 gave the lecture of “Fojiao yu Zhongguo Wenhua” (Buddhism and Chinese Culture). Master Shes-rab Rgyal-mtsho lectured on “Zangzu de Fojiao Xinyang” (Buddhsim Beliefs of Tibetan People). And Mr. Ya Hanzhang牙含章 talked about “Atheism and Religious Belief – Religious Policy of CCP” etc. Shulue” (A Brief Introduction to Tibetan Buddhsim), “Xizang Fojiao Wenhua Shijiang” (Ten Lectures on Tibetan Buddhism and Culture), and books like Tubo Wenhua (吐蕃文化Ancient Tibetan Culture, 1988), and Zhonghua Fojiao Shi·Xizang Fojiaoshi (The History of Chinese Buddhism·Volume of Tibetan Buddhism, 2013). Expect for his focus on old Tibetan language, Tibetan Inscriptions, Dunhuang manuscripts, and the bamboo scripts, Prof. Wang Yao also had a great achievement in Tibetan Buddhism, the comparative study between of Han Buddhism and Tibetan Buddhism. With his profound competence on studies of Chinese ancient civilization and Tibetan language and broad academic view, his academic works share some important features, namely, through knowledge of the ancient and modern times, Sino -Tibetan interaction, lofty conception and plain but classic wording. You will have a better understanding if you read his “Zangzu Fanyijia Guan Facheng dui Minzu Wenhua Jiaoliu de Gongxian”(Tibetan Translator Guan Facheng‟s Contribution on National Culture Exchange, 1980), “Nansong Shaodi Zhaoxian Yishi Kaobian” (On the Emperor Zhao Xian in the Southern Song Dynasty, 1981), “Dunhuang Zangwen Xiejuan P.T. 986 hao Shangshu尚书 Yiwen Buzheng” (Supplementary Study on the Tibetan translation of the Book of History in P. T. 986, co-authored with Chen Jian,1982), “Dunhuangben Zangyixue Canjuan Jieshao”(A Brief Introduction to Tibetan Medical Manuscripts from Duhuang, co-authored with Chen Jian,1982,1983), “Dunhuang Tubo Wenshu P.T. 1291 Zhangguo Ce战国策 Zangwen Yiwen Buzheng”((Supplementary Study on the Tibetan translation of the Record of the Warring States in P. T. 1291 from Dunhuang, co-authored with Chen Jian,1983), “Tubo Shiqi Zang yi Hanji Mingzhu ji Gushi” (Masterpieces and Stories Translated from Tibetan into Chinese During the Ancient Tibetan Times, 2000), “Jinpingmei金瓶梅yu Mingdai Lamajiao”(Ming Dynasty Lamaism in Jinpingmei, 1994), and “Zang Han Wenhua de Shuangxiang Jiaoliu”(the Mutual Exchanges Between Tibetan and Han Cultures, 2007), etc. Based on comparative study of the Tibetan and Chinese historical sources, Prof. Wang Yao had made a meticulous study on Tibetan astronomy and calendar, Yin-Yang and five elements, Tibetan medical science, Tibetan and Chinese Buddhism culture, and so on. He thought all those aspects were influenced mainly by the Central China culture. This implies that Sino-Tibetan cultural exchange has lasted thousands years ceaselessly. The two cultures are inseparable. Finally, we have to mention that Prof. Wang Yao was absolutely meritorious in the academic exchange between China and foreign countries. He was the first world-famous scholar activated on the international stage of Tibetan studies. He participated in the 3rd to 10th Conferences of the International Association of Tibetan Studies, and took part in the 15th (Beijing), 20th (Vancouver), 24th (Virginia) and 30th (Beijing) International Conferences of Sino-Tibetan Languages. And we can see his international reputation from his experiences of being invited to teach abroad.5 By taking the opportunities of the international exchange, Prof. Wang brought back the latest research results to China. He called people to translate the research results and introduced it to the academic circles. The Guowai Zangxue Yanjiu Yiwen Ji (Series of Tibetology Translation) chief-edited by himself has been well-known in the academia of China Tibetology and relevant fields. And he brought back many other latest publications on Tibetan studies and instructed young scholars to translate them into Chinese. And most of the Chinese translations were finally published in China with the help of Prof. Wang. All that brought new voices to the quiet domestic academic circle and promoted the development of China Tibetology. In the extensive and long lasting international academic exchange, Prof. Wang formed a deep friendship with many world famous scholars. He introduced many young scholars to go abroad, and spared no efforts to invite foreign scholars to visit China. He had made a great contribution to the international exchange of China Tibetology. Prof. Wang Yao is absolutely a representative and master in field of China Tibetology. His endeavor brought new scenes and development to many fields of the academia, for example, Tibetan inscriptions, Dunhuang Tibetan manuscripts, Tibetan Buddhism, Tibetan culture and history, Sino-Tibetan cultural communication, Tang Dynasty history, and so on. He is a disseminator of Chinese ethnic culture and the envoy of the Chinese and foreign cultural exchange. His unremitting efforts brought new vigor to the depressing China Tibetology which caused by the Culture Revolution. He introduced China Tibetology to the world. 5Professor Wang Yao‟s experiences of teaching aboard: visiting professor in University of Vienna(1982-1983), visiting professor in University of Bonn (1987-1988), visiting professor in The University of Toronto (1989), visiting professor in Japanese Buddhist University (1995-1996), visiting professor in University of California-Berkeley(1996-1997), visiting professor in Seattle University etc. Besides, he brought the latest research results into China, which he made full use of in his teaching and research. This profoundly influenced his students and promoted the internationalization of China Tibetology. He is a preeminent national educator. He cultivated a great number of young and middle-aged scholars who are now active in the Tibetology field home and abroad. 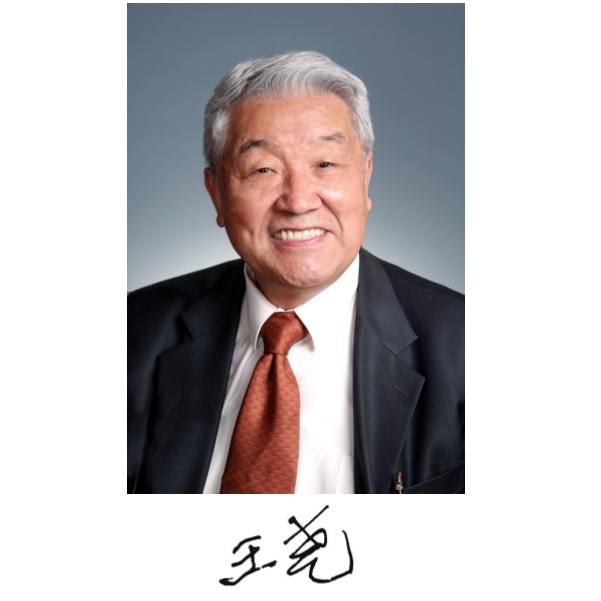 Judging by the above, Prof. Wang Yao‟s life was a great success, and his success will continue as his studnets make more and more contributions to the filed of China Tibetology. 1. Xizang Minjian Gushi西藏民间故事 (Tibetan Folk Tales), Beijing: Tongsu Duwu Chubanshe, 1955. 2. Shuobuwan de Gushi说不完的故事 (The Neverending Stories), Beijing: Tongsu Duwu Chubanshe, 1956; Xining: Qinghai Minzu Chubanshe, 1962, 1980. 3. Wencheng Gongzhu de Gushi文成公主的故事 (The Stories of Wen Cheng Princess), Beijing: Tongsu Duwu Chubanshe, 1956; Shanghai: Shanghai Wenyi Chubanshe, 1958. 4. Zhenzhu珍珠 (The Pearls, co authored with Kai Doushan开斗山), Beijing: Tongsu Duwu Chubanshe, 1957. 5. Meng Zang Minjian Gushi 蒙藏民间故事 (Mongolian and Tibetan Folktales, coauthored with Li Yi李翼), Hong Kong: Jindai TushuGongsi, 1957; Hong Kong: Guoguang Shuju, 1957. 6. Xizang Sajia Geyan Xuan西藏萨迦格言选 (Selected Works of Saskya Aphorism in Tibet), Xining: Qinghai People‟s Publishing House, 1958; Xining: Qinghai Minzu Chuanshe, 1981; Beijing: Dangdai Zhongguo Chubanshe, 2011. 7. Zangju Gushi Ji藏剧故事集 (Collected Stories of Tibetan Drama), Beijing: Chinese Drama Press, 1963; Lhasa: Tibetan People‟s Publishing House, 1980; [Its English version was published by] Beijing: the New World Press, 1986, 2013. 8. Zangzu Minjian Gushi Xuan藏族民间故事选 (Collection of Tibetan Folktales, co-authored with Tong Jinhua佟锦华), Shanghai: Shanghai Wenyi Chubanshe, 1980. 9. Dunhuangben Tubo Lishi Wenshu敦煌本吐蕃历史文书 (the Dunhuang Tibetan Historical Documents, co-authored with Chen Jian陈践), Beijing: Minzu Chubanshe, 1980; 1992(revised edition). 11. Tubo Jinshi Lu吐蕃金石录 (the Collection of the Ancient Tibetan Inscriptions), Beijing: Wenwu Chubanshe, 1982. 12. Tubo Wenxian Xuan吐蕃文献选读 (the Selected Readings of Ancient Tibetan Documents, co-authored with Chen Jian), Beijing: Minzu Chubanshe, 1983; Cehngdu: Sichuan Minzu Chubanshe, 2003. 13. Dunhuang Tubo Wenxian Xun敦煌吐蕃文献选 (The Selection of Dunhuang Tibetan Documents, co-authored with Chen Jian) Chengdu: Sichuan Minzu Chubanshe, 1983; [Tibetan version] Beijing: Minzu Chubbanshe, 1983. 14. Tubo Jiandu Zonglu吐蕃简牍综录 (A Comprehensive Collection of Ancient Tibetan Bamboo Scripts, co-authored with Chen Jian), Beijing: Wenwu Chubanshe, 1986. 15. Tubo Shiqi de Zhanbu Yanjiu—Dunhuang Zangwen Xiejuan Yishi吐蕃时期的占卜研究——敦煌藏文写卷译释 (Studies on the Divination of Ancient Tibet—Based on the Trslation and Annotation of the Dunhuang Tibetan Documents, co-authored with Chen Jian), Hong Kong: the Chinese University of Hong Kong Press, 1987. 16. Dunhuang Tubo Wenshu Lunwenji敦煌吐蕃文书论文集 (Collected Papers on Dunhuang Tibetan Documents, co-authored with Chen Jian) (Chinese-Tibetan version), Chengdu: Sichuan Minzu Chubanshe, 1988. 17. Tubo Wenhua 吐蕃文化 (Ancient Tibetan Culture), Chuangchun: Jilin Education Press, 1989. 18. Xizang Wenshi Kaoxin Ji西藏文史考信集 (Collection of Faithful Studies on Tibetan Literature and History), Gaoxiong: Foguang Publishing House, 1992; Beijing: China Tibetology Press, 1994. 19. Zangxue Lingmo藏学零墨 (Miscellaneous Essays of Tibetology)，Gaoxiong: Foguang Publishing House, 1992. 20. Zongkaba Pingzhuan宗喀巴评传 (the Critical Biogrphy of Tsong-kha-pa, co-authored with Chu Junjie褚俊杰), Taipei: Dongchu Chubanshe, 1992; Nanjing: Nanjing University Press, 1995. 21. Zhongguo Diyu Wenhua: Zang Wenhua Juan 中国地域文化·藏文化卷 (China Regional Culture: Tibetan Culture, co-authored with 丹珠昂奔), Jinan: Shandong Meishu Chubanshe, 1997. 22. Shuijing Baoman: Zangxue Wenshi Lunji 水晶宝鬘——藏学文史论集(CrystalJewel Garland: Collected Papers on Tibetan Literature and Hostory), Taipei: Foguang Wenhua Shiye Youxian Gongsi, 2000. 23. Pingfan er Weida de Xuezhe—Yu Daoquan平凡而伟大的学者——于道泉(Yu Daoquan: An Ordinary but Great Scholar), Shijiazhuang: Hebei Education Press, 2001. 24. Zhonguo Zangxueshi (1949 Nianqian) 中国藏学史（1949年前） (A History of China Tibetology: until 1949), coauthored with Wang Qilong王启龙, Dengxiaoyong邓小咏), Beijing: Minzu Chubbanshe, Tsinghua University Press, 2003; [revised edition] Beijing: China Social Science Press, 2013. 25. Zangxue Gailun 藏学概论 (A Brief Introduction to Tibetology), Taiyuan: Shanxi Education Press, 2004. 26. Xizang Wenshi Tanwei Ji 西藏文史探微集 (Collection of Meticulous Studies on Tibetan Literature and History), Beijing: China Tibetology Press, 2005. 27. Zangzu yu Changjiang Wenhua 藏族与长江文化 (the Tibetans and the Changjiang River, co-authered with Huang Weizhong), 2005. 28. Dunhuang Guzangwen Wenxian Tansuo Ji 敦煌古藏文文献探索集 (Collection of Explorative Studies on Dunhuang Tibetan Manuscripts, co-authored with Chen Jian), ShanghaiL Shanghai Ancient Books Press, 2008. 29. Dangdai Xueshu Sixxiang Wenku: Wang Yao Juan当代名家学术思想文库·王尧卷 (Series of Contemporary Academic Masters: Volume of Wang Yao), Shenyang: Wanjuan Chuban Gongsi, 2010. 30. Zang Han Wenhua Kaoshu 藏汉文化考述 (The Investigation on Tibetan and Chinese Culture), Beijing: China Tibetology Press, 2011. 31. Zangchuan Fojiao Congtan 藏传佛教丛谈 (Essays on Tibetan Buddhism), Beijing: China Tibetology Press, 2011. 32. Wang Yao Zangxue Wenji 王尧藏学文集 (Collected Works of Tibetan Studies by Wang Yao), 5 volimes, Beijing: China Tibetology Press, 2012. 33. Zhonghua Fojiao Shi: Xizang Fojiaoshi《中华佛教史·西藏佛教史卷 (Chinese History of Buddhism: Volume of Tibetan Buddhism),Taiyuan: Shanxi Education Press, 2013. 34. Zoujin Zangchuan Fojiao 走近藏传佛教 (Coming to Tibetan Buddhism), Beijing: Zhonghua Shuju, 2013.